The William Woods LEAD Award Program encourages you to take part in cultural, intellectual and global activities outside the classroom. For your full participation, we'll award you $5,000 every year for your undergraduate career. Four years of college for the price of three. It's one of the many ways we'll help you flourish. 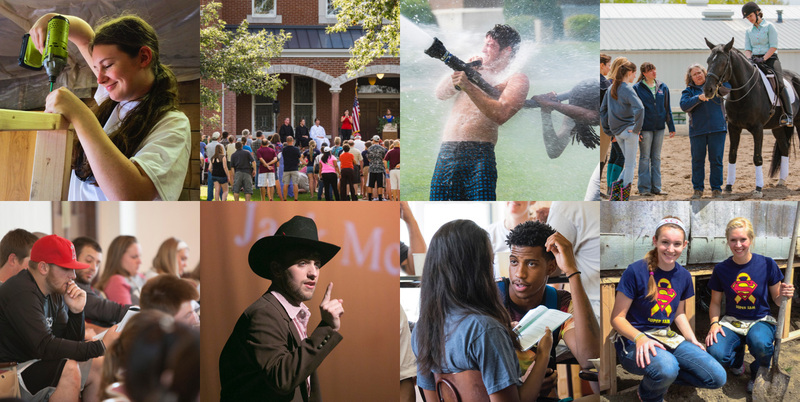 The LEAD Award program is an annual tuition award granted to all undergraduate students, regardless of financial need, who commit to campus and community involvement. So you can attend sporting events, seminars, concerts, films, comedy shows, performances, art exhibits and more and receive up to $5,000 each year for doing so. Every time you attend a LEAD event on campus, you gain points towards your LEAD total. The more points you earn, the more tuition awards you receive. The purpose of the LEAD Award Program is to enrich our students' educational experience, and encouraging their participation and involvement in university life outside of the classroom. Since 2000, the Program has provided over $30 million in financial assistance to William Woods Univeristy students and is available to any new, full-time student admitted to Wiliam Woods Univeristy. An award of $5,000 is possible for residential students and $2,500 for commuter students each year. 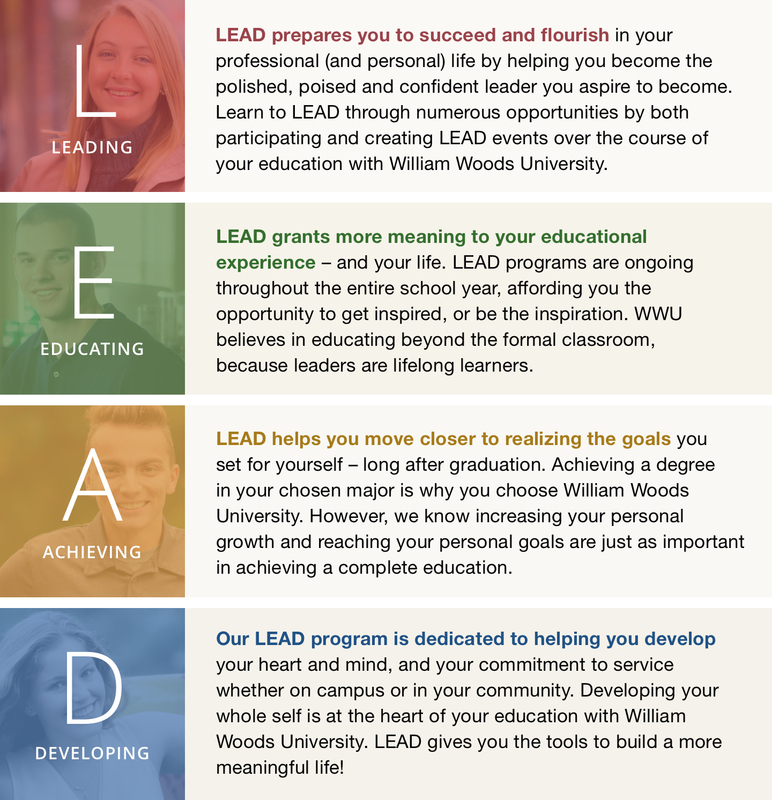 The LEAD award is offered to any student who has been formally accepted to William Woods University. Those who accept the award choose to become a part of the LEAD Program and commit themselves to participating in activities designated as LEAD-eligible activities over the course of the academic year. In order for a LEAD student to be eligible for the financial benefit of the LEAD Award each upcoming semester, the student will have had to fulfill their commitment to participate in a pre-determined number and type of LEAD activities during the previous semester.